As every year, the Lions Club Saint-Cyprien is organising an event to raise funds for children and families in difficulty, bringing a little happiness to those who are most in need. In order to offer them the Christmas they deserve, members across the region will visit local families to determine their needs in terms of toys, food and other products. Then on Tuesday 11th December, the families will be invited to meet Santa, who will arrive in to Saint Cyprien port at 5.30pm. Everyone will then head to the Joa Casino for the distribution of presents and a Christmas party. 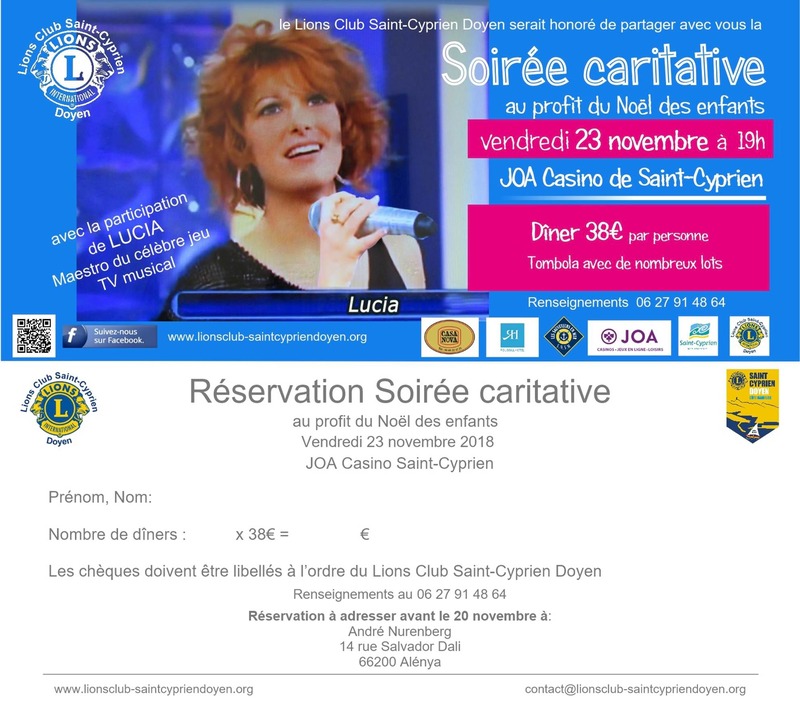 On Friday 23rd November at 7pm, the Joa Casino in Saint Cyprien will host a fundraising evening, including a delicious dinner. For 38€ per person, you can enjoy the fine food, take part in tombolas for the chance to win a range of great prizes and of course, help bring happiness to children this Christmas!